Nowadays, HTML5 is riding over on flash. Against us? Rise your voice in the comments then. It’s been quite a while since we discussed about Google switching to HTML5 view, but is it all about HTML5? But do we have a particular place where only HTML5 is the Talk? 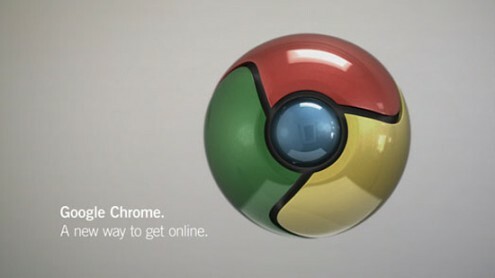 Originally created as a platform to advertise and make Google Chrome popular. But now it has turned out to be one of the greatest HTML5, Canvas and SVG experiments gallery. The main advantage here is you can submit your own HTML5 experiment here. In contrast to Chrome Experiments which has a li’l deal with Canvas and SVG, Mr. Doob is solely dedicated to Mr. Doob‘s HTML5 experiments. I personally like Mr. Doob more than Chrome Experiments and Hakim.se. A collection of HTML5 experiments powered by Hakim El Hattab. Worth giving a try. They were a few HTML5 collections that I was impressed by. Among the three, which one you lik’d the most? Or do let us know if you know about a better collection of HTML5 experiments, that is not included in the list. Things are Moving Fast! Lets Learn some HTML5! Today we will learn some Basic Things in HTML5. We Will discuss on some of the New form field types which are implemented in HTML5. Form Field types can be classified into Dedicated UI and Input Validation. Using Range as Input type we are defining some range with attributes min and max.. Set your Own Values for Min and Max to lengthen or shorten the Range. One Could Scroll horizontally to move pointer between Min and Max! This defines some default text(place holder) in a search box. if you type in wrong inputs other than number, a “red” color is highlighted as per the code! Define email id using emailid input type during form validation. Adding Telephone number as Input type for form Validation! PS: Try This Only in HTML5 Supported Browser! HTML5 seems to be in rapid development now. 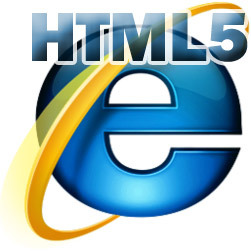 All companies and officials are trying to get HTML5 a working release as soon as possible, main reason, demand. Web developers want to get the stable release of HTML5 soon. Google, being one of the many companies developing HTML5 knows about this problem. That’s why they are releasing support for HTML5 way before time. Google reader has been tweaked up in the past month. The most significant was addition of HTML5 support. 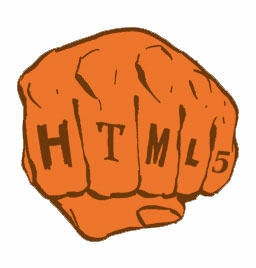 Its clear that Google can easily integrate HTML5 as they are the ones who are developing it. Google Reader will now support the audio and video tags in HTML5. Now there is a “Not interested” link at the bottom of recommended items, so that you can both hide that item and provide your like & dislike. To keep you updated, a small banner appears, stating “A new version of Google Reader is available” whenever a new version is released. Incidentally, it’s the 500th version of Reader over the 5 years. When you hit space (or shift-space), you’re now automatically moved between posts, and for posts with multiple images, cycled through each image. Also added made Play more configurable by letting you change URL used: If you add welcome=0 query parameter skips welcome screen for new & signed-out users. An autoplay=1 query parameter start moving through posts automatically. A #feed/<URL> fragment display specific feed. You can combine all these to make automatically playing slideshows of favourite photo-blogs. Of course there should be no doubt on this one. HTML5 has major speed improvements and Google is slowly implementing them. Home view loading is now faster, and Send to functionality being less susceptible to being stymied by popup blockers when used with services such as Twitter. Google is slowly switching to HTML5. So are many other big companies. But if your a web developer wondering whether to switch to HTML5, I would say that this is not the time. Big companies like Google and Apple have added parts of HTML5 into their servers, not a complete change. HTML5 is still not stable. But since Google is the one that’s making it, they’ll know much better whether they should switch to HTML5 or not. 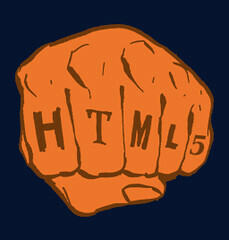 We still have to wait till HTML5 gets is official release to know whether its a good choice to switch to HTML5. Why Apple did not use Flash for the iPad? Apple, being the second most successful multinational company based on computer technology, has finally released the iPad ! In case you don’t know this already, the iPad was one of Apple’s most successful produces yet. Apple had so many pre-ordered iPad’s to deliver that it had to temporarily shut down the Apple store to rebuild the stocks of the iPad. The iPad was really made fun of at first. There were many jokes on the iPad. The most popular being those of MadTV and Hitler. The main reason everyone thought that the iPad was going to be a iFailure was because it did not support flash. At this moment 90% of the internet is based on flash content. Flash was Adobe’s most successful product yet and is used by almost all web developers to deliver dynamic content. The iPad not supporting flash was really shocking, as some people planned to use the iPad as a mini-pc. If the iPad could not load 90% of the web pages, then why buy it ? Steve Jobs answered this question personally on the Apple Site. According to Jobs, Apple has been teamed up with Adobe for a long time. But now when Adobe realized that Apple’s latest product does not support Flash it was really shocking to them. Basically he means to say that there are some other open-source platforms such as scripting languages using which a user can create dynamic content. Flash need not be that dynamic content. These open standards are much better alternatives to Flash. They are recommended by W3C (World Wide Web Consortium), the non-profit organization created by the creator of the Internet (WWW) to promote open source standards for the internet. Its always better to use W3C standards rather than the standards which may look good. The Full Web is the web pages that you see on your PC web browser. Mobile platforms usually cannot support the full web as they need powerful graphics card and a good memory space for that. This creates a major problem. Most users like the create that full web. Apple confirms that if the iPad had to support flash then it would not be as good as it is now. This is a major concern to Apple. Many users have complained that the products that support Flash are really unstable and insecure. To remove this threat to the iPad, they completely eradicated Flash from the scene. To achieve long battery life when playing video, mobile devices must decode the video in hardware; decoding it in software uses too much power. Flash is software ! Not all Flash sites use the latest version of Flash. The newer versions of Flash include H.264 decoder, but not all flash content will use this decoder. The decoder used depends on the version of flash used. If a web designer uses an old version of flash to create his site, then the flash decoder used will be old. The older the version, the more stress on battery life too. Flash was meant for PC’s using mice, not mobile gadgets with touch screen. Apple’s touch technology is one of the best in the world. Have you noticed how responsive apple’s touch devices are ? Apple could surely not afford to risk its touch technology. This according to Steve Jobs is the most important reason. He lays a lot of emphasis on it. Using external apps and third party layered software could really kill Apple. Its really not easy to apply third party apps in the iPad. For this reason, the iPad clearly discarded flash. Did you miss out on our post: WHAT IS THE FUTURE OF GRAPHICS ? We’ve explained what alternatives could be better than flash in that post. 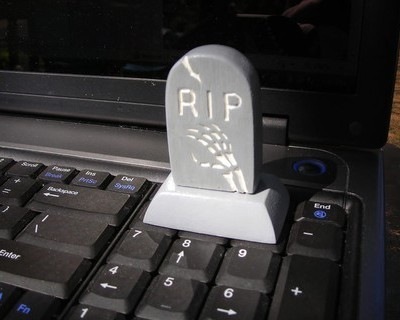 RIP Flash – What is the future of Graphics? Flash, originally made by Macromedia and now continued by Adobe Systems, is a multimedia platform that is popular for adding animation and interactivity to web pages. Flash has always been popular as it gave interactivity to boring old web pages. Day by day Flash has got better and heavier. Now it seems its too heavy. Time to discard it…. But this is not the case with HTML5. It may be an all in one language, but surely its not heavy. 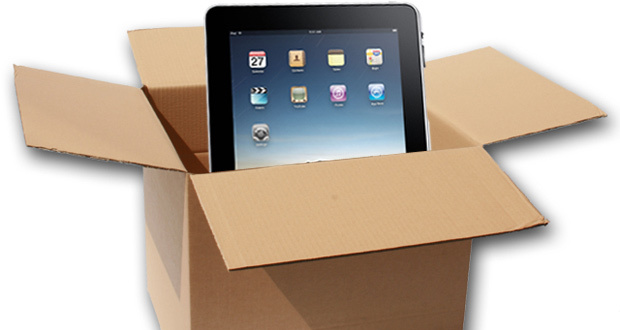 Did you see the release of the Apple iPad ? Its selling for upto 700$ and still it does not have flash. Yet its better without flash. Apple’s sales of the iPad was just unbelievable. There were so many people wanting the iPad that Apple actually had to stop the pre-ordering of the iPad online before its official release !! Everyone was ready to buy a gadget without flash. There’s the end of flash with Apple. How about Youtube ? Youtube is going to HTML5. Presently its only for developers but soon HTML5 will be the standard for YouTube. With HTML5 in the run, Lets say our last words to flash..
Oh flash, how you used to fry my processor and provide me with amazing high quality graphics which would make my computer crash. Now no more of you buddy, I’m going clever developer. I’ll attend your funeral for sure. Good Bye and Rest In Peace. Going into the next generation, lets see what the future of graphics holds for us…. 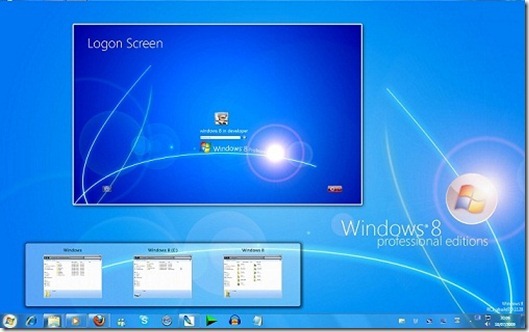 Windows 7 was Microsoft’s most successful operating system yet. It was liked by everyone, especially people working in Gaming industry and other graphic mobility stations. Basically all graphic industries were excited about Windows 7 because it enabled multitasking with superior graphics. If this was Windows 7 then you can surely expect more in Windows 8. There were quite some rumour’s that the next version of Windows i.e. Windows 8 is going to be 128 bit and this OS will give High Definition Graphics and at the same time be lightweight. If these rumours are true then you can be sure to see HD graphics in Windows 8 !! The trend is starting from the iPad. HTML5 is entering gadgets. No longer will your mobile phone support flash, its upgrading to developer flash. Companies such as nokia and blackberry have already started working on HTML5 to see the possibilities. Can you see the a racing game running in the iPad. Hope you can guess that its a flash game !! A flash game in the iPad running on just HTML5. That’s the potential of HTML5 !! Flash based websites are created with lotta contemplations and planning. One simply cannot start a flash based web site without analysing the target audience. It is really surprising to know there are hundreds of users who have no idea about flash.Ask youtube bug report system . Ppl complain you tube is not working without installing flash. Though flash doesn give one complete independence . Its users responsibility or rather capability to install flash in his/her system.Hence the complete solution is missing. One might ask why doesn’t Browsers come with inbuilt flash . Well i guess we need to wait for adobe to give the go ahead for that. Recently apple release I-Pad which doesn support flash. That raised the whole question of “Why make a Internet device without flash ? Well the answer is quite simple they need not . Why ? because flash doesn necessarily have to define the future of Internet. Face it Flash is third party application. 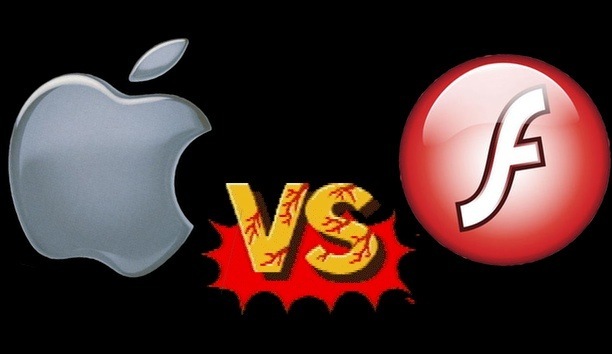 Is apple killing flash ? Well that a whole different topic to be discussed !! Flash is powerful.No kidding. At wat cost is the debate.The ide for flash cs4 cost 700$.while that of developing html 5 app cost only brain power and a simple notepad. Html 5 is the new kid in the block. Much about the power of html 5 is unknown to many web developer. With html 5 the most complex task can be done in minimal code. Abstractness is brought to a new level.The main drawback of html 5 is that it consumes lotta processing power. Is it just the systems i tried it on or a defect of html 5 .I’m not sure but the power of html 5 is very apparent. Web applications are dependant on technologies like .net,php,java,flex,flash .The best out there aren necessarily gonna be around in sometime. Just check out these example of html 5 presented in google summer code. I’m sure some of you will be amazed ! I just finished doing a simple app in html5 and trust me guys it is really neat.I have almost come to conclusion that html5 can give adobe run . Hold on. This doesn mean that flash is gonna disappear !! .For sometime till end of this year at least i ‘m sure flash based apps will continue to grow. But the indications are that Flash’s code-base has grown quite inflexible, if adobe doesn pick up pace and push new features the consequence may be bad for adobe.